Awareness 3/8" Lanyard w/Swivel Hook 100 Pack Ribbons Silk Screened on Nylon Lanyard • Breast Ca.. 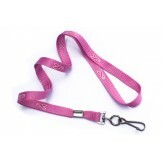 Breast Cancer Awareness 5/8" Breakaway Lanyard w/Swivel Hook 100 Pack Ribbons Silk Screened on Ny.. 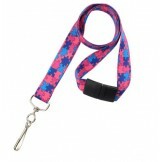 Perfect for charity walks and fundraisers, these attractive, dye-sublimated lanyards with the puzzle..